H. Korayem, A., K. Hoshiar, A., Badrlou, S., H. Korayem, M. (2016). A Comprehensive Model for Stiffness Coefficients in V-Shaped Cantilevers. 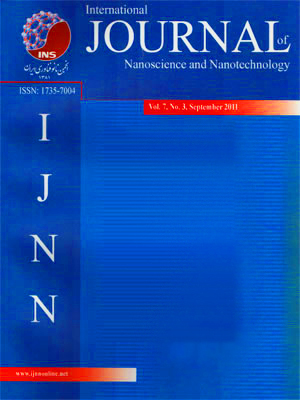 International Journal of Nanoscience and Nanotechnology, 12(1), 27-36. A. H. Korayem; A. K. Hoshiar; S. Badrlou; M. H. Korayem. "A Comprehensive Model for Stiffness Coefficients in V-Shaped Cantilevers". International Journal of Nanoscience and Nanotechnology, 12, 1, 2016, 27-36. H. Korayem, A., K. Hoshiar, A., Badrlou, S., H. Korayem, M. (2016). 'A Comprehensive Model for Stiffness Coefficients in V-Shaped Cantilevers', International Journal of Nanoscience and Nanotechnology, 12(1), pp. 27-36. H. Korayem, A., K. Hoshiar, A., Badrlou, S., H. Korayem, M. A Comprehensive Model for Stiffness Coefficients in V-Shaped Cantilevers. International Journal of Nanoscience and Nanotechnology, 2016; 12(1): 27-36. During past decade the AFM based nanomanipulation has been focus of attention as the promising nano fabrication approach. The main challenge in this process is the real-time monitoring. Consequently, the dynamic models have been proposed as a solution to the existing challenge. In the modeling approach the magnitudes of the forces are proportional to the stiffness coefficients of cantilevers. The precise calculation of these coefficients has been introduced in numerous works. The proposed stiffness coefficients for the V-shaped cantilevers fail to present in all commercial cantilever geometry. The geometrical deviation has a considerable impact on the magnitude of stiffness coefficients. Therefore, in this paper the existing model has been modified to include the commercial cantilever and take into account the effect of geometry variation. FEM simulation has been used to investigate the effect of geometry change and the results of these simulations have been exerted to the model which resulted in proposed comprehensive model. The proposed new stiffness model covers a wide range of commercial V-shape cantilevers and makes the process more practical.